The best way to start the gluten free diet is by using foods that are easy to digest and naturally free of gluten. Home made soups and stews, steamed vegetables, and bland foods are best. Avoid spicy, deep fried, and highly acidic foods like tomatoes for the first few weeks. I found even salads to be too hard on my stomach in the beginning, and other raw vegetables did not digest at all. Ethnic recipes are often rice based and will lend themselves well to gluten free cooking. As long as they are not too spicy they are worth looking at. Save the spicy ones for later, you will enjoy them once you've healed some. Be extra careful when buying curry, as it often contains some gluten. This is also true of most canned soups. I found a lot of Chinese food recipes that I already enjoyed and just needed to find gluten free soy sauce. (La Choy is gluten free) Beef with broccoli, Shrimp with Snow Peas, Sesame Chicken...I thought, if we can cook things like that we won't mind so much. I think the hardest part was trying to find something to eat that would substitute for the things I craved. Gluten actually contains opioids, which are similar to morphine. 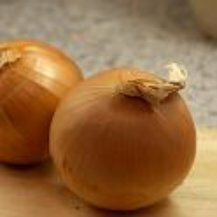 These opioids connect to opioid receptors in the brain when you eat gluten, giving a feeling of pleasure. That's why we call them comfort foods. There are recipes on my site for biscuits, cobbler, and other easy to make items that will help to stave off those cravings. It's easier when you don't feel so deprived. Gluten free breads and other baked goods are hard to digest when the intestines are so sore. It is best to keep them to a minimum. However, with the cravings you get in the first few weeks for gluten items, you will want to have some gluten free items in the house. Otherwise the temptation to cheat on the diet will prove too much. It is important to always have something quick and easy to prepare available. You may suddenly get very hungry, and be feeling too weak to prepare much. So stock up on things you can make quickly, and things that will be easy to digest, before you start. General Mills Rice Chex, and now Corn Chex and Honey Nut Chex with Pacific brand rice milk can be a quick meal. Make a large pot of soup, so that you can freeze portions. Use them when you feel you need to have something quickly. My soup recipes are nourishing and easy on the stomach. I would wait on the tomato soup for at least a month though. I found the Carl Buddig roasted turkey lunch meat very helpful at such times. It's also a good traveling lunch. 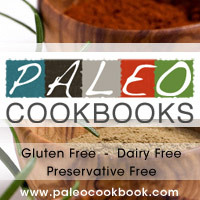 It is free of gluten and dairy, and easy to digest. 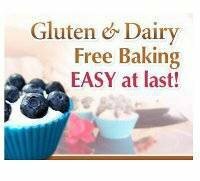 Most gluten free breads available use xanthan gum or guar gum to bind the ingredients together. These gums become stiff when they are cold, and make the bread stiff and brittle. 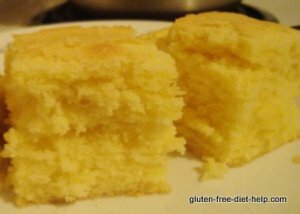 It is nearly always necessary to toast or warm gluten free baked goods before eating them to allow the gums to become flexible again. I started watching television with the remote control in my hand. After you begin the diet, seeing the commercials with pizza, cake, bread, and other things you are already craving can make you feel very deprived. I learned to change the channel to something else, at least until the commercial was over. These cravings are worst (at least in my experience) in the first few months. By six months I no longer had a problem watching those commercials. In fact, those things don't even look appealing anymore. It's important to focus on the foods you can have instead of those you can't. There are many substitutes that work quite well, like spaghetti noodles made from rice flour. Tinkyada brand is free of gluten and one of the best tasting and textured. Once you've healed a bit, you can have tomato based sauces again.